In which Dan gets his groove on, or back. I keep forgetting to link this. Grant gives this nonsense some context and history. Oh yeah, the album is done, go get it. It’s been four years, so no need to keep waiting. Usually, one day I post a thing that says, “Oh yeah, the album is done, go get it.” Today is not that day, but I’m ready to share some details of what will happen on that day. 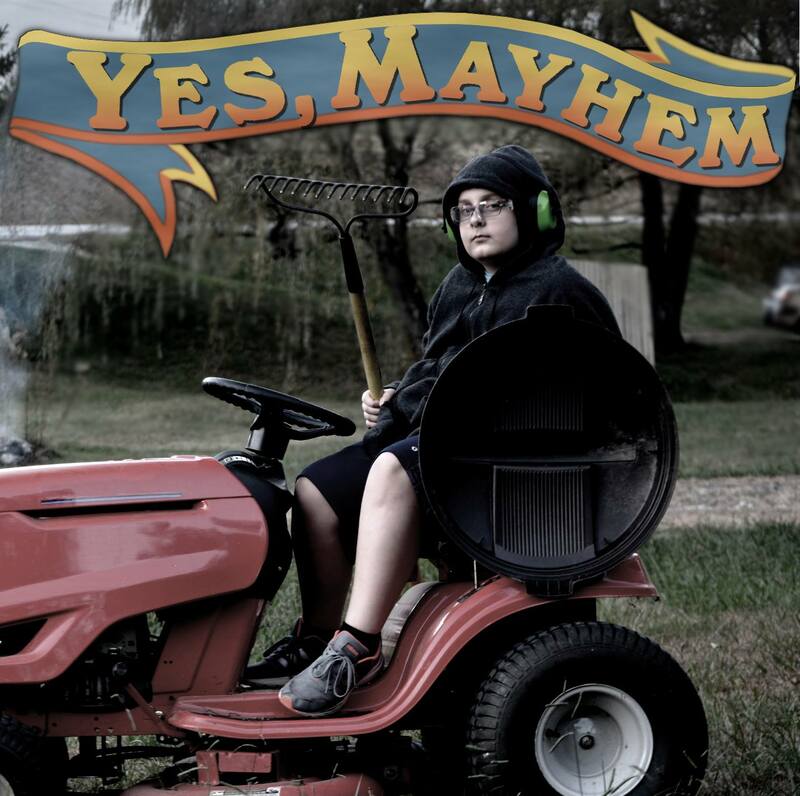 The new album, Yes Mayhem 3, is called “Molly.” The running length is around 50 minutes, and there are 13 tracks. I’m in the process of converting the bandcamp page over, so it’ll be weird looking in the short term. I’m working on it. There are also 7 bonus tracks if you download the entire album from Bandcamp. 4 of those are some of the tracks we’ve done (VGM and Soundtrack covers) since HH2, 1 is the original demo of one of the album songs, and 2 are things too silly to have been included on the album proper. Of course, in addition to the regulars, there are guests. There are new challengers in with some returning champions. I will list them now. It’ll be “name your price” on Bandcamp again for the digital download. I’m going to do another short run of CDs, and those will be $10. Barring some outrageous unforeseen demand requiring a reissue, HH2 is now out of print for physical copies. If you have one, it’s probably super valuable now. Rip it and put it on eBay to send your kids to college. A big part of the appeal for projects of this nature is the ability to experiment. We’re not paying studio time, and we’re not beholden to some record company wanting us to push out product. That means we can do try things that may be dumb, but there’s really no penalty for failure. Our process on the last two albums (and most of the non-album stuff we’ve done) has been as such: I write music, recording as many instruments as I feel necessary to flesh out my ideas, then James shoehorns his ideas into my framework. He can usually be credited with giving structure to my meanderings. More to the point, he makes my music into songs. In the grander scheme, I’ll start with a rough demo, Kevin will record drums, I’ll record bass, Grant will record guitar, then James will add vocals. There have been many times we’ll listen to a song and Kevin will say, “If I’d known the guitar was doing that, I could have changed my part to match,” or, “I didn’t know there were going to be vocals in that part, I should have laid back,” etc. This time, the big experiment was to do full-band demos then reevaluate. Basically, we were going to record the entire album (at least) twice. That would allow everyone in the pipeline to add feedback on what needed to be changed to accommodate each others ideas. Better collaboration was the goal. A quagmire is what we got. Somehow, recording an album twice takes 10 times as long. Some of the songs are better off for it, absolutely, but we ended up abandoning the process a little over halfway through. Stun Gun demo smorgasbord (yum). The first cut is from the original demo I did which clocked in at just over 4 minutes. That’s just me on bass and drums, sketchpadding (if that’s a word). Second cut is a live demo Kevin and I did where I overdubbed a guitar part to see what it sounded like. That demo was still 3:40. Third cut is another live demo, a little faster. Fourth cut is from James’ vocal demo over one of the bass/drum live demos Kevin and I had done. He suggested edits to the arrangement to accommodate his vocals, which really helped tighten up the song. Fifth cut is Grant’s guitar demo over James’ vocal demo. That’s not even all the versions I recorded over time. There are about 6 songs we wound up doing this way, and while it does give room for more collaborative input, it’s kind of unsustainable, especially given our schedules. In this case, I think it worked out pretty well. We discovered through the process that there were redundant parts of the song, it worked better at a faster tempo, and the vocals drove the arrangement rather than leaving James to make do with whatever I gave him. What started out as a 4 minute draft turned into a song that clocks in at a lean and mean 2:47. This is a very incomplete list. There’s been a LOT. Of course, as always, there were a number of high profile gigs that took up our music time as well. Metroid Metal went to Mexico and played a show entirely in Spanish. Kevin has an actual recurring house band gig. Somehow, though, the stars aligned, and we’ve had an opportunity to make some progress on a new Yes, Mayhem album. It’s happening. If you’re not aware, this happened, a long time ago. Months ago. So, previously I mentioned that Grant really stepped up his game this time around. It would be unfair of me to not note that James has also brought his A game. I may go back and re-record all my parts just so I don’t feel like the slack one. This next release is finally starting to come together. Grant has really stepped up his game this time around – wowzers. Also, the new cosplay review. Since the first album, I’ve picked up a number of upgrades for my recording setup. The first album was recorded using James’ 4 track Fostex digital recorder using whatever mics I could scrounge. I picked up a PreSonus Firepod and some dedicated drum mics. I’m now using 7 mics on the drums instead of just 4, and the results have been pretty good so far. I used this same setup to record drums for Metroid Metal’s Expansion Pack. I picked up some Audix drum mics – a special kick drum mic, 3 tom mics, and two overhead condenser mics. I’m still using my SM57 on the snare. I’m also recording in a carpeted room in the basement of my new house instead of Kevin’s brick and concrete cave. I haven’t installed any sound dampening stuff on the walls, so I’m close-micing everything and making sure the overheads are pointed so they don’t pick up reflections from the walls. The first drum tracks I recorded sounded awful because the slapback was almost as loud as the original hits. I’ve sorted all that out now, and the drums are sounding better than the first album, which I guess is the point. I will try really hard not to ruin them in post. No promises though. I now have 10 drum tracks recorded, and at least rough bass tracks for all of them. I let you all hear works in progress previously, so why not now. Here’s a drums and bass mix that gives a decent idea of where the album is at this point. This song is fairly representative of the direction this album is taking, I think. There’s very little “production” done on here. I think volume mixing and panning is about all I’ve done with the drums, and there might be some compression on the bass. This is just Kevin and I, but I’ve started sending out tracks to collaborators, so I’m eager to start getting stuff back in the not too distant future.